Democrats retained control of Congress after the 1962 elections. Following the Cuban Missile Crisis, the Senate approved the Nuclear Test Ban Treaty, and in the wake of President John F. Kennedy’s assassination, the 88th Congress (1963–1965) desegregated public accommodations with the Civil Rights Act of 1964. Congress passed programs to combat the causes of poverty and tackled environmental problems through the Clean Air Act, the Urban Mass Transportation Act, and the Wilderness Act. Congress also granted broad authority to Kennedy’s successor, President Lyndon B. Johnson, to use force in Vietnam with the Gulf of Tonkin Resolution. Lyndon B. Johnson addressed a Joint Session of Congress for the first time as President of the United States. 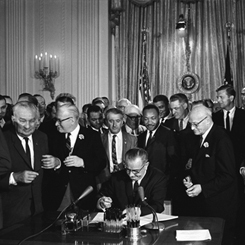 The House of Representatives passed the final version of the Civil Rights Act of 1964. 1Died in office, May 31, 1963. 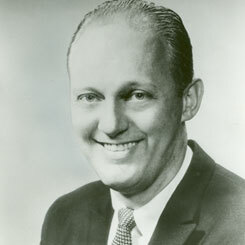 Caucus chairman post vacant until January 21, 1964.